Richard Dance was the son of a gardener from Sherrards Green. He enlisted in the Worcestershire Regiment on 12th September 1902 at Driffield, Yorkshire and served as Richard “Lane.” This explains why for many years his details have been difficult to track down – his death was reported locally as Richard Dance not Lane. Thomas grew up in Malvern – in the 1891 Census, Thomas and Sarah Dance and their three sons were at 5 Lower Quest Hills Road, Malvern Link. Arthur was born in St Johns, Worcester in 1878, Francis in Powick in 1881 and Richard at Malvern Link in 1882 or 3. By 1911 Richard was boarding at 5 Lower Bailey Street, Wattstown in the Rhondda and was working as a coal haulier (below ground). He had probably served eight years with the Colours, returning to civilian life in 1910 and would serve a further four years as an army reservist. Recalled to the colours on the outbreak of war, he went out as the first reinforcement to the 3rd Worcestershire Regiment, landing in France on 30th August 1914. He will have joined his unit shortly after they had taken part in the Battles of Mons and Le Cateau. At the beginning of September, the tide turned and the retreat was stemmed. 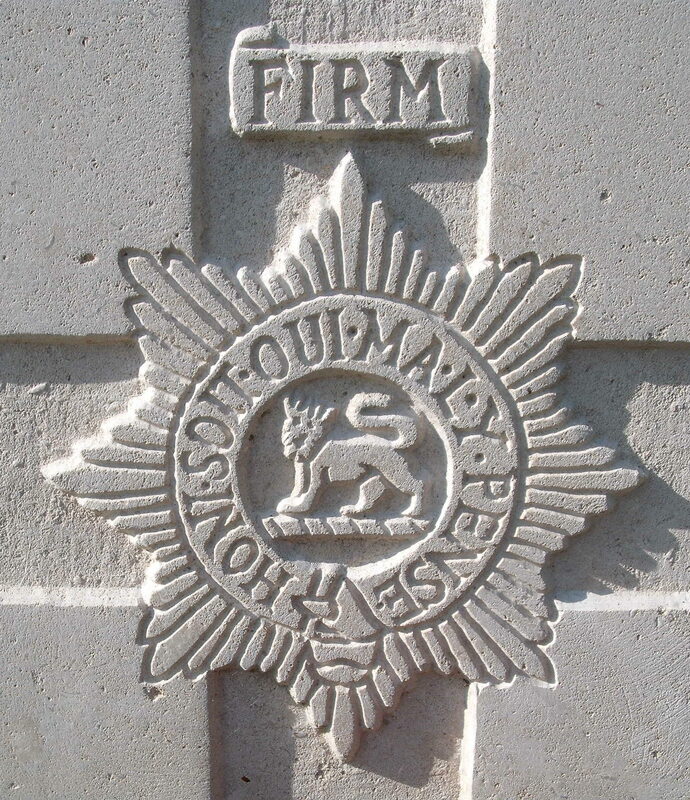 The 3rd Battalion took part in fighting on the Marne and the Aisne during September and then moved to Flanders to defend the salient that had formed around the Belgian town on Ypres. They were positioned south of Ypres, on the Franco-Belgian border and captured Richebourg St Vaast in the Lys Valley. Soldiers died record Richard Dance’s date of death as 28th October, whereas in the Army Register of Soldiers Effects and earlier date of 22nd October is given. The Commonwealth War Graves Commission hold the later date, so it is this date that is assumed to be the correct one, although it is likely that was originally posted missing between these two dates. At the time of death his home address was given as Llantwit Fardre, Glamorganshire. Richard Dance has no known grave and is today commemorated on the Le Touret Memorial. This memorial commemorates over 13,400 British soldiers who were killed in this sector of the Western Front from the beginning of October 1914 to the eve of the Battle of Loos in late September 1915.